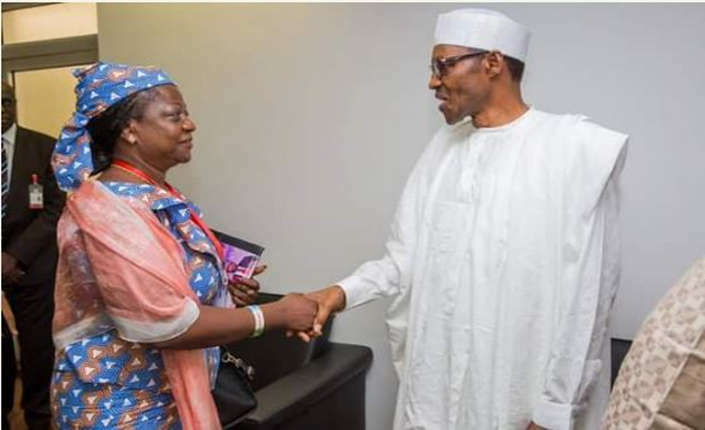 Social media adviser to President Muhammadu Buhari, Lauretta Onochie has on Monday condemned the leader of Christian Association of Nigeria (CAN), Reverend Dr. Samson Ayokunle Olasupo in an open letter posted on her Facebook page. Onochie wrote “I do not really understand what you, as the leader of the Christian Association of Nigeria (CAN), stand to gain from constantly misinforming Nigerians. You keep harping on the lie that appointments made by President Buhari and VP Osinbajo, were lopsided. Onochie addressed the claims of partiality as false, explaining that President Buhari is faithful to the principle of federal character. “It’s on record that this government has fulfilled the quota system and the federal character requirements in federal appointments, Olasupo’s criticism of Buhari’s appointments reeks of religious bigotry,” Onochie said. Reverend Olasupo had said in September that Buhari was discriminatory and partial in his appointments, with most of his appointees coming from the Muslim majority, North. The cleric accounted that the recent appointment of Yusuf Magaji Bichi, a Muslim, from Kano State to replace Matthew Seiyefa, a Christian from Bayelsa and the appointment of Zainab Ahmed as finance minister and that of Abbas Umar Masanawa as the Director-General of the Nigerian Security Printing and Minting Company were clear indications of the President’s discrimination. She labelled Olasupo as a hater of Muslims and that “Nigerians are at their wits end with pretenders to the throne of God, Christians and Muslims alike, like you,” insisting that CAN president’s criticism of President Buhari was misinformed.